A recent article in the Washington Post profiled Washington Capitals star Nicklas Backstrom, who is a person who stutters. 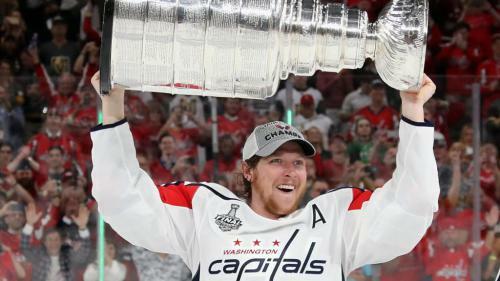 While the article mentioned Backstrom's pivotal role in helping the Capitals win their first ever Stanley Cup in 2018, we want to bring to your attention that Backstrom is the latest NHL player who stutters to win a Stanley Cup. In 2017 Bryan Rust, a two-time Stanley Cup winner with the Pittsburgh Penguins in 2016 and 2017, was profiled in a Celebrity Corner article in a Stuttering Foundation newsletter. In 2015, the Stuttering Foundation website posted a tribute article on New York Islanders legend Gord Lane, who anchored the Islanders defense when the team won four consecutive Stanley Cups from 1980-1983. One hockey legend who did not win a Stanley Cup in his career, Los Angeles Kings perennial all-star Dave Taylor, was also profiled in a Celebrity Corner article. Stuttering does not stand in the way of a Stanley Cup!